Ladies First: Named for the number of stills used at The Macallan’s new distillery, The ThirtySix is a chic Central spot where whisky highballs take centerstage. In a subtle display of gender equality, the bar quietly aims to make whisky and highballs more palatable to women by presenting them in easy-to-drink formats. Did we mention the two main bartenders are women, too? Look & Feel: Imagine the golden age of train train travel, give it a dash of Mad Men chic and modern industrial grit, and you’ll get a good idea of what The ThirtySix looks like. There are nods to the luxury trains of yesteryear with banquette seats trussed up like streamliner luggage sitting under netted shelves holding — what else? — small steamer-style luggage. Leather wing chairs are set in intimate groups, while unfinished grey walls feature heavy lashed of bright art that combine contemporary technique with old-school advertising styles. Our favorite cocktail of the night, the B for Mayor’s Boilermaker. On the Menu: Short and sweet, the menu at The ThirtySix is highly specialized. The focus is squarely on beautifully crafted cocktails made with careful thought. Each one comes with a splash of history – make sure to ask when ordering. The unmatched favorite of the night was the B for Mayor’s Boilermaker ($120). 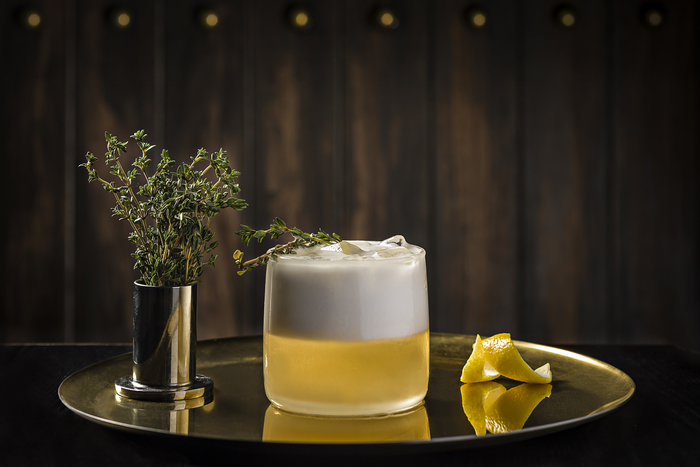 This adventurous play on the working man’s boilermaker features Becherovka Herbal Bitter Liqueur, Rebel Yell Kentucky Straight Bourbon, fresh lemon juice, thyme syrup and beer foam, and is a real treat to drink. Jeng: The cocktails are seriously well crafted. They’re made with unwavering attention to detail. Case in point: they use their own-brand water to control pH and bubble size (in the soda water, of course). Not so jeng: Right now, the bar only serves (rather wonderful) cheese plates to soak up the booze. But they’re planning to hire a chef and do a proper bar bites menu, so stay tuned. 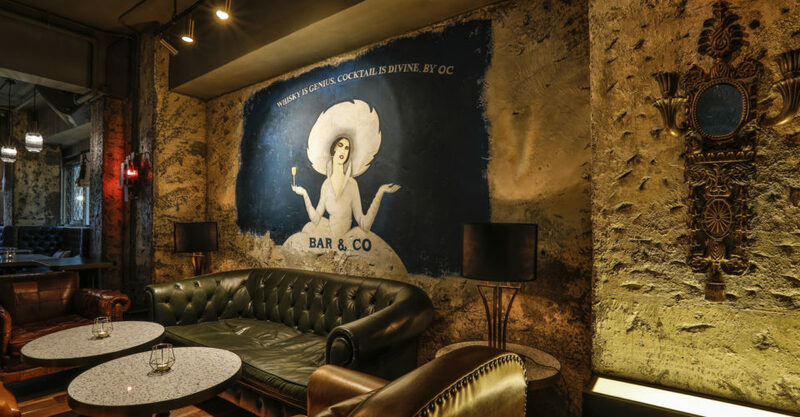 Great for: Intimate dates, quiet catch ups, whisky (and highball) connoisseurs. FYI: There’s a whisky vault next to the bar. Behind the cage-like door — which is kept under lock and key — there are premium and rare spirits. And since you can also buy your own bottle and keep it here, this is where your bottle is stored in between drinking sessions.